MR Online | Norman Geras falls foul of Reading University’s ‘prevent’ anti-terrorism strategy. As a result of PREVENT, an academic was required to send the following to third year undergraduates taking an optional module. The required piece in question is Norman Geras’ ‘Our Morals: The Ethics of Revolution’. The University understands its responsibility to require it to control access to security-sensitive material, which includes but is not limited to material which might be thought to encourage the commission, preparation or instigation of acts of terrorism; material which would be useful in the commission of acts of terrorism; and material which glorifies acts of terrorism. Academic work defending the permissibility or appropriateness of revolutionary violence might well be thought to encourage the commission, preparation or instigation of acts of terrorism, and may glorify it, at least where terrorism is understood as the use of violence to encourage the government to do things–as it basically is in this context. As a result, you are now all apparently required to complete the form available through the link on ‘Learning Materials’ tab of the module’s Blackboard page and return it to Dr Firstname Lastname. If you are concerned about completing the form, please let me know. I also advise you to contact [the student union] if you find the University’s interpretation of the requirements of the policy in any way worrying, as I think you may well reasonably do so. If there are indeed circumstances to make some moral crimes unavoidable, it is still necessary to have the rules and restraints which define them as crimes and which serve as a barrier against the avoidable ones. Socialists surely have good reason to be on their guard against forms of argument that are used to throw off all ethical constraints from around the conduct of war; and that were used, specifically, to justify opening the latest and potentially the most lethal chapter in the history of human warfare. Where there are established parliamentary democracies, with a set of basic civil and political rights and freedoms protected under law, there is no right of revolution on account of tyranny. There is a right of social revolution–on account of grave injustice–against the capitalist forms of power, wealth and privilege over which these democracies preside, but the thing is complicated by the claim the latter make to democratic legitimacy. 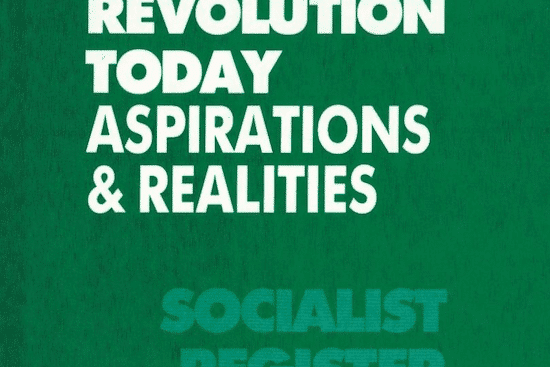 You can read Our Morals: The Ethics of Revolution (Socialist Register 1989) through this link. Andrew Coates is an author for Tendance Coatesy.